Statistics vary significantly by jurisdiction, but typically, authorities apprehend around 50 percent of hit-and-run drivers. In some cases, the tortfeasors (negligent drivers) voluntarily turn themselves in or bystanders detain them until police arrive, so the cases practically solve themselves. Other hit and run cases appear almost unsolvable; for example, police have almost no leads in a recent fatal hit-and-run that occurred on Hillsborough Avenue between Hoover Boulevard and Anderson Road. These cases involve complicated issues in civil court as well, in terms of both liability and damages. Negligence is much easier to prove than guilt, because the burden of proof is much lower in civil court. Prosecutors must establish guilt beyond a reasonable doubt, but victim/plaintiffs must only establish liability by a preponderance of the evidence (more likely than not). So, if an attorney identifies a vehicle and the owner of that vehicle has no alibi for the time of the accident, the jury may conclude that the owner is at fault. Witness Canvassing: For various reasons, many people are not willing to talk to police officers but they will speak to someone who represents a victim. Even if the witness only saw part of the crash, every little bit helps. Body Shop Investigation: Any owners who bring their cars into body shops with hood or front end damage merit closer investigation. Stakeout: Although it is not nearly as glamorous or exciting as the movies make it out to be, simply monitoring traffic in the area often generates the lead necessary to break the case open. Video Evidence: Many businesses have surveillance video and many intersections have red-light cameras, so there is a very good chance that there is at least some video evidence of the crash. Victims of a hit and run should almost always retain an experienced law firm who is willing to front the costs of an investigation and also help find a doctor who will treat your injuries if you do not have health insurance. If an attorney sufficiently identifies the tortfeasor, and the case goes to trial, the jury often awards additional punitive damages in such cases. These damages are available in addition to economic damages for items such as medical bills and noneconomic damages for items such as pain and suffering. 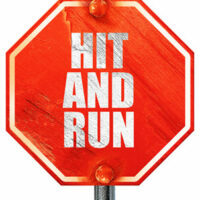 The fact is that many jurors abhor hit-and-run drivers and they want to punish them. These additional damages also serve to deter future wrongdoing, and jurors who are longtime members of the community are often very receptive to this argument. Hit-and-run victims almost always have to fight to receive compensation regardless of the specific facts. Even though the law is on the side of the victim, insurance companies will do everything possible to delay, deny, and defend the victim’s claim for damages. For a free consultation with an experienced automobile injury lawyer in Tampa, contact The Matassini Law Firm, P.A. We are prepared to assist you immediately.